Do you own a rural farm? Then you have probably invested thousands upon thousands of dollars in your facilities, equipment, crops and products. With rural crime rising across Western Canada, security solutions that actually work are becoming increasingly more important for rural farm owners. According to the most recent report released by Statistics Canada, Alberta has seen rural crime increase 38 per cent higher than urban crime in 2017, while Manitoba (42 per cent) and Saskatchewan (36 per cent) are also plagued by the issue. The problem is so widespread in Western Canada that CBC partnered with a documentary filmmaker this year to create a series of mini-documentary episodes, titled “Farm Crime”, which tell the stories of farmers across the country who have been victims of rural crime. Just like construction sites and fenced compounds, agricultural and rural farm facilities are particularly vulnerable to break-ins, vandalism, fires and theft. The vast boundaries required to protect farms, and their long distances from towns and police protection mean a certified security solution is even more essential. This vulnerability doesn’t mean you should just let crime happen. In fact, with a proper security solution, you can stop it from happening on your property. 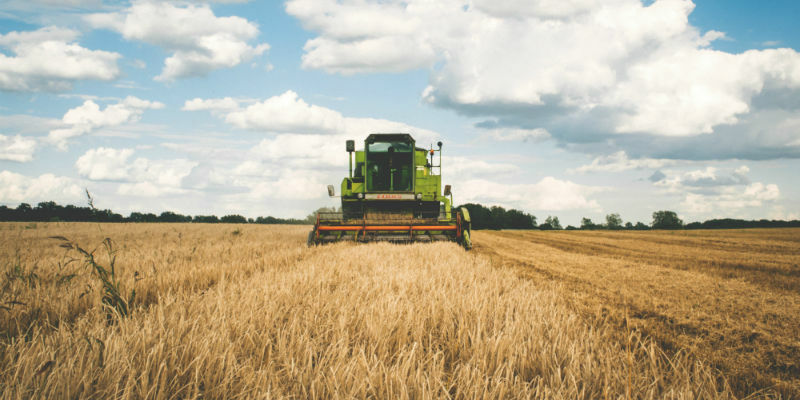 How can farm owners protect their assets? Investment is the key to securing your farm, but investing in the right products is just as important. Monitored surveillance CCTV video will be your ally here, and will not only help stop crime on your farm but it will significant;y improve the speed at which police departments dispatch officers to your location. Verified CCTV surveillance, in which a central monitoring operator verifies the legitimacy of an alarm, have virtually no false alarms and police are able to be immediately alerted in real-time whilst a crime is happening. This means criminals are often caught quickly while in the middle of a crime. This is a vast improvement on conventional alarm systems, which have incredibly high false alarm rates at around 94 to 98 per cent of all alarms. Repeatedly responding to false alarms can be time-consuming and costly for those involved, and police are often reluctant to dispatch officers to conventional alarms due to a large number of these alarms resulting in wasted time. In fact, police on most occasion do not dispatch officers to conventional alarms at all. 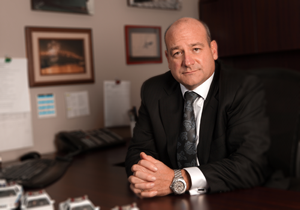 Want to learn more about verified security systems? Read our latest blog on why it’s important to authenticate security breaches with verified alarms. Why choose Sonitrol Western Canada to protect your farm? 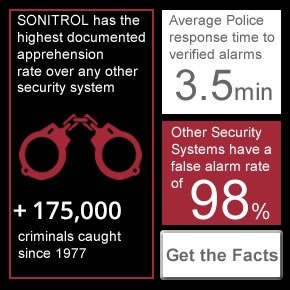 Sonitrol Western Canada is renowned for its high-quality and hugely successful security technologies, and we have the highest documented apprehension rate of any security with more than 175,000 criminals caught since 1977 - they all know our name. Our unique SonaVision verified video, monitors the perimeter and interior of your property and is activated by highly sensitive motion and heat controls to detect thieves and vandals. Our video systems can be hard wired or wireless using internet and cellular to communicate. Our solutions are vastly superior to conventional CCTV solutions, and we are able to immediately alert the police, along with the farm owner, when a crime is underway. This makes for timely and successful police dispatches. In fact, the average police response time to verified alarms is just 3.5 minutes - giving criminals little chance to escape. The farming industry is hard work, and, as a business owner, you probably have a huge amount already on your hands. Let Sonitrol Western Canada take away the stresses of security so you can focus on what matters - making money. Interested in a free, no obligation security plan that is specifically designed for your business? Contact us today to find out more.